House Operating System (HOS) for digitalSTROM is a full-featured home automation software with support for digitalSTROM smart home devices, meters and protocols., This can turn your Smart Home dream into Reality, with compatibility to every digitalSTROM controlled Device (Fully Supported SONOS Audio, iRtrans iR Remote Control, & IFTTT [Internet Smart Home presets & actions]). The software is an apple iOS or TVOS application that is configured and controlled from anywhere in the world with any web-enabled iOS or TVOS device. Ability to Control Multiple Devices from Several digitalSTROM Servers in A Single Room View (Best For Smart Hotel Rooms Master Control). Multi Layers Option Allowing you to Add A frame or alpha pictures on each others to build your own unique custom room design making home control more user friendly. House Operating System (HOS) is designed to control light switches, thermostats, door locks, audio / video equipment, cameras, garage doors, water valves, energy monitors and much more. With a dedicated library of rooms profiles and remote controls skins professionally designed to meet with most modern houses rooms and devices. - Runs digitalSTROM devices, meters, and protocols. - Multi profiles allowing you to control as many houses as you wish from the same iOS device. - Backup and Restore your houses profiles on your personal computer and on iCloud. 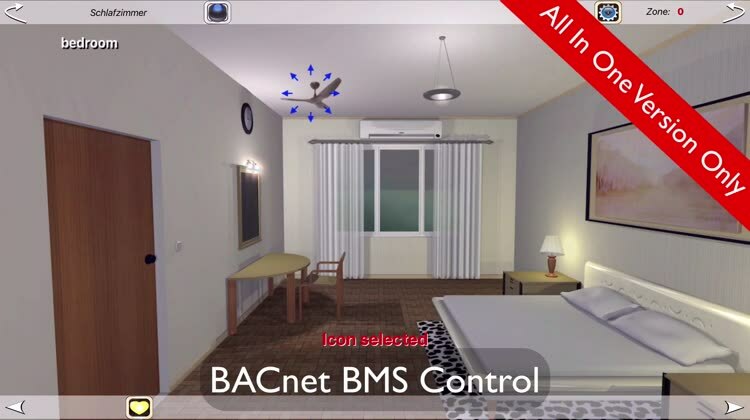 -Multi Layers Option Allowing you to Add A frame or alpha pictures on each others to build your own unique custom room design making home control more user friendly. - User friendly customized on screen switches using VR (virtual reality) technology simulate the exact actions of the real push button wall / in-line switches with a set-up easier than setting a channel on your conventional TV. - Dedicated library of rooms profiles and remote controls skins professionally designed to meet most modern houses rooms and devices. - Wizard globes allows you to Test and Control Global Events nature actions like wind, rain, hail, and frost, these conditions can be connected directly to control room devices and / or gives you voice alerts, and more.